[INDIE] For the first time as part of our series The Public Presents, we’re bringing in a band from out of town, a band we’re familiar with and have enjoyed as a staff: Brooklyn’s The Vine Brothers. They caught our attention when they played a charming and intimate set at small house show during last year’s Infringement Festival. 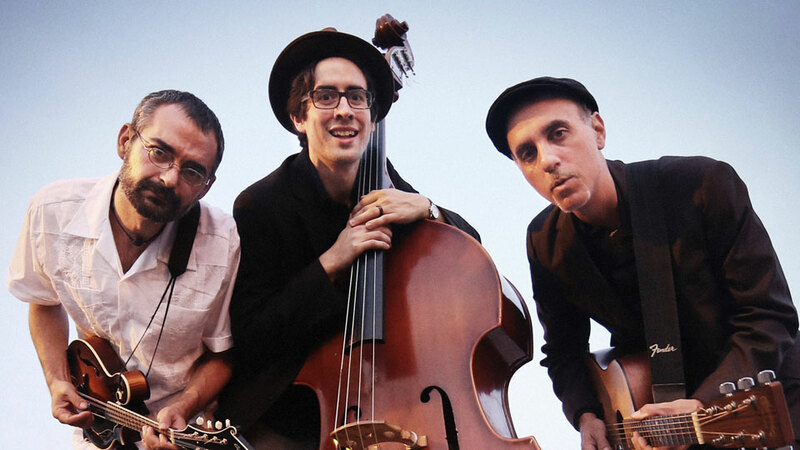 The three piece band, Greg Bucking on guitar, Joe Credit III, and upright bassist Garrett Jones, may worship at the altar of Django Reinhardt—with their gypsy-jazz stringed attack—but hints of Neil Young and the Band burn like myrrh through their soulful, Americana chantry. They’ve even been known to play the occasional N’awlins-flavored cover of “Sing Sing Sing” by The King of the Swing, Louis Prima. Their latest album, The Devil and the Deep Black Sky ranges from a lazy float down the Mississippi on songs like “No Desire,” to ruckus, knee slapping fun on songs like “Tune to Go.” Don’t miss them this Saturday, April 11 at The Public Presents at Nietzsche’s with Smart House (see our feature on Smart House in this week’s issue) and Strange Acres.